Trust Sunrise to implement the last ERP you’ll ever need. 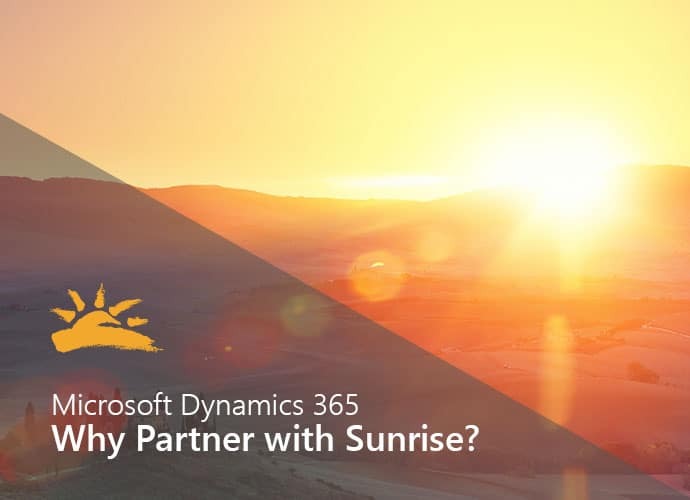 This factsheet outlines 5 reasons you can count on Sunrise Technologies to implement Microsoft Dynamics 365 and support it for a lifetime. In a nutshell, we speak your language and have exclusive industry solutions so you can hit the ground running. Plus you’ll enjoy the affordability and elasticity of the Microsoft Cloud, and a global consulting and support presence. See the backside of the factsheet for a quick overview of our industry solutions.